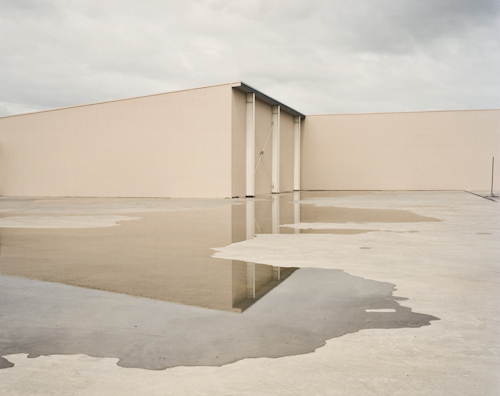 Chris Round is a fine art photographer based in Sydney. An image from his series Transient Realities was chosen as a finalist in the 2013 Head Off Landscape Prize, on display at Paddington Reservoir Gardens until June 23. This series of images are essentially a dialogue between myself, and locations I’ve visited a number of times. However, due to a combination of different natural and man-made elements, at the time of my visit I discovered an unfamiliar air about them - these places were not how I imagined, or how I had previously pictured them. In discovering this I realised these new and transient realities contrasted with my recollection, my imagination. My relationship with these environments had fundamentally changed. However, from a visual perspective, I felt certain things ‘fell in to place’ giving me a fresh perspective that allowed me to capture this new relationship. I’ve been almost tempted to question the validity of the pictures, defining them as fictional, though of course by definition they are not. As a consequence perhaps this raises questions about our increasingly insecure relationship with our surroundings, how we are becoming more disorientated in the modern world; how each reality we experience is rapidly replaced by a new and unexpected one.